Here's another 1:40 scale MechWarrior 4 paper model by Shiftdel at the Mech3.org forum. 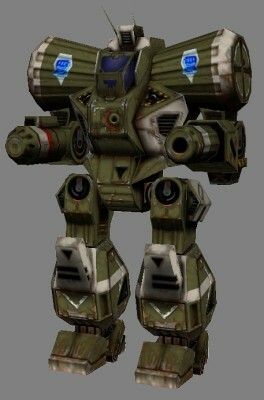 This particular model is of the Zeus, known in the MechWarrior world for it's excellent long range sniper capabilities. 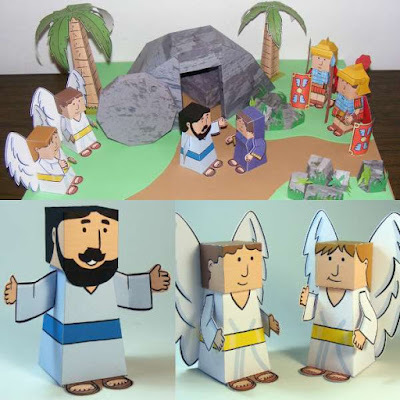 A download of the template (Pepakura PDO format only) is available here. The original model comes in a snow camouflage color scheme, but MechWarrior fan, CMOSturm, has created twelve additional skins for the model (all of which are included in the download). One of CMOSturm's skins is shown on the right. great looking model, can't wait to build it! also, i have made a hako figure, but i don't have anywhere to post it. would you be able to post it for me if i sent you the model? it's a one sheet model, and it's my first try at designing a model. and i'd like to know what you and others think about it.